SOURIAU - SUNBANK Connection Technologies offers a comprehensive range of nuclear connectors to answer with reliable and ergonomic solutions to the requirements of class 1E equipment (safety-related electric equipment in nuclear power plants) and requirements of the rest of the nuclear cycle. 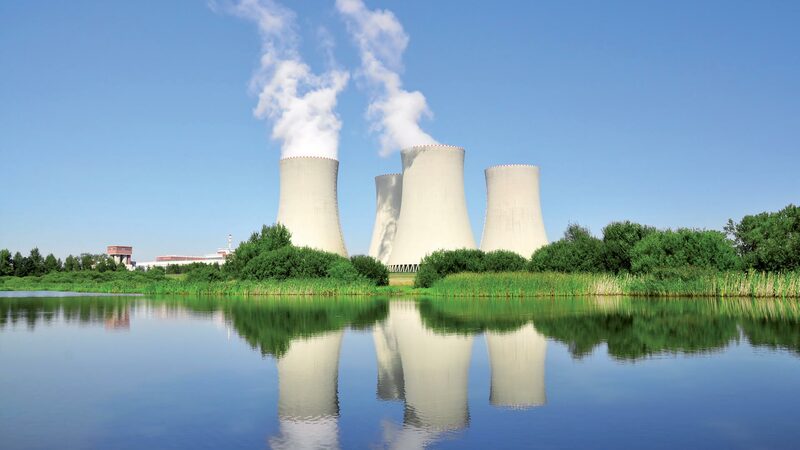 We have a great deal of experience with nuclear power plants as we have been supplying qualified connectors for more than 60 years in power plants over the world. Our quality assurance meets international industrial and nuclear standards, such as ISO 9001, ASME NQA-1, 10 CFR 21, HAF604 (Design & Manufacturing), allowing us to provide reliable and robust solutions. We provide interconnect systems suitable for pressurized water reactor or boiling water reactor buildings. Our connector solutions are extensively used in instrumentation, power, and control applications. They are specially designed for sensors or equipment such as: pressure transmitters, instruments, RTDs, thermocouples, pumps, switches, solenoid valves and other DC devices. Our dedicated ranges of connectors are complying with LOCA safety requirements. With approved component materials, our connectors meet the highest radiation levels and harshest nuclear environment. SOURIAU - SUNBANK Connection Technologies' range complies with the main nuclear industry standards, RCC-E and IEEE. In order to match the large variety of existing applications (sensors, probes, valves, and control and regulation systems) in power generating stations, we have developed and qualified several connector series. Our 8NA series connectors are LOCA qualified (K1 according to RCC-E) and suitable for safety related equipment in reactor buildings. Thanks to robust stainless steel shells and high sealing performances, 8NA is designed to operate during normal, accidental and post accidental conditions. Our 8N45(S) series, 8N35 series and MEN series are K2 qualified according to RCC-E. This range allows to answer a very diverse list of needs, from power to signal transmission. SOURIAU - SUNBANK Connection Technologies has also been working with the laboratories and reprocessing facilities globally for more than 50 years. Historically from the Jupiter brand, our connectors are widely recognized as robust and reliable solutions by nuclear fuel fabrication plants, reprocessing and waste storage facilities and the rest of the nuclear industry. We equipped the first reprocessing units with its fast locking connectors (push-pull) for gloveboxes. With a complete understanding of the requirements, together with continuous feedback from the field over the years, the ergonomic design of the series allowed the ULC range to become the world reference for glovebox applications. SOURIAU - SUNBANK Connection Technologies has unique knowledge in the design and the realization of complex interconnecting systems such as penetrators for gloveboxes, with a concept of total safety for the user against radiation during the daily use and during maintenance operations. This safety is achieved thanks to hermetic feedthroughs. We also provide a dedicated connector range suitable for hot cells in the nuclear fuel recycling industry and in nuclear waste treatment facilities. Using high temperatures and radiations withstanding materials and specially adapted mechanical casings, SOURIAU - SUNBANK Connection Technologies connectors are designed for remote-control operations and highly contaminated areas. An enhanced version of this series for connections by master-slave manipulator arm or by power manipulator arm has been developed for vitrification lines, overhead cranes, and waste storage. The three main reprocessing factories in service in the world: La Hague (France), Sellafield (UK) and Rokkashomura (Japan) use extensively the ULC Series in the hot cells.